A charming warren of cobbled streets, vast churches, canals lined with gorgeous old warehouses, a spectacularly lovely main square and chocolate shops. Lots and lots of chocolate shops. 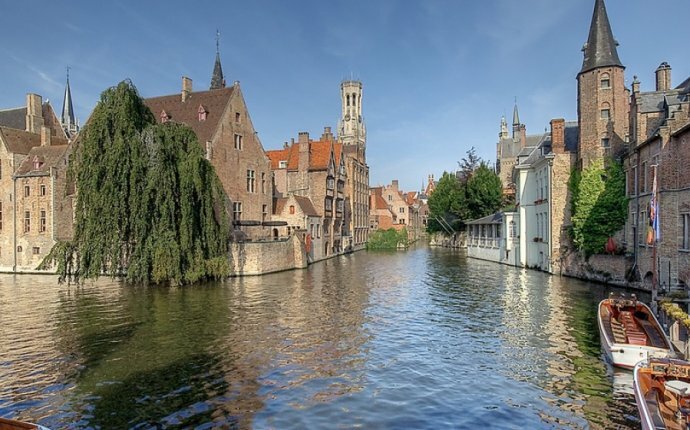 Many of the best places to stay in Bruges are located around the historic centre, so it's a very accessible city and perfect for a short break. In Bruges it's hard not to take a postcard worthy photograph. In the town's medieval centre there are no modern buildings to jump into your shot at the last minute, or cars to dash through. In fact here you're more likely to have your photograph spoiled by a horse and buggy. For this is one of Europe's best preserved pre-motorised cities. Visit the Markt, and climb the Belfort - there's not much to see inside, but the view is worth the 366 stair climb. Take a ride on the canals and see the Begijnhof. Or take a horse and trap ride to the Minnewater. See the Flemmish art in the Groeningemuseum, then visit the Arentshuis next door and see the wonderful WW1 etchings by Frank Brangwyn.